Peterborough boss Graham Westley says it is "almost inevitable" that some players will leave the club in January. 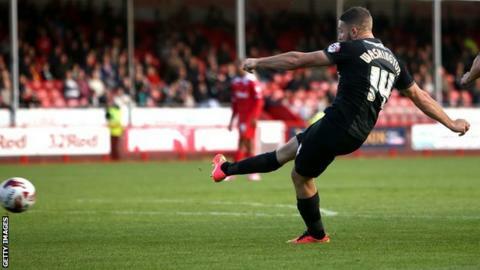 Forward Conor Washington and winger Marcus Maddison are among the players to have been linked with moves away. Posh have already rejected three bids for 23-year-old Washington, while Maddison, 22, is reportedly a target for Premier League side Sunderland. "I've got a horrible feeling there will be some movements this month," Westley told BBC Radio Cambridge. "As a a manager you dread it because you think 'I don't want to be without him and I don't want to be without him', and then on the other hand you think they deserve it. "We're probably going to have to be without one or two by the end of the month, but it'll be great for them and great for the players that come in and replace them. "I'm sure the lads here will wish their teammates all the best if it does happen and I'm sure the team will continue to go from strength to strength." Peterborough are currently sixth in League One, having won six of their last nine league games.